Sarah Harper, the girlfriend of the Australian baseball player shot and killed by teenagers while jogging near her family's home in Oklahoma. 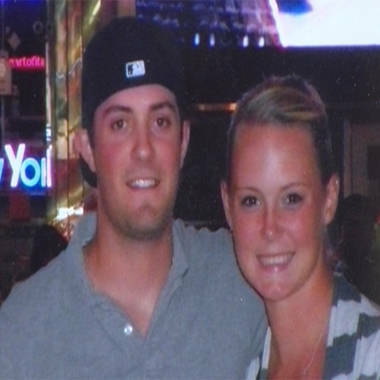 She speaks of the moment she was told of her boyfriend, Christopher Lane's death. NBC's Randy McIlwain reports. 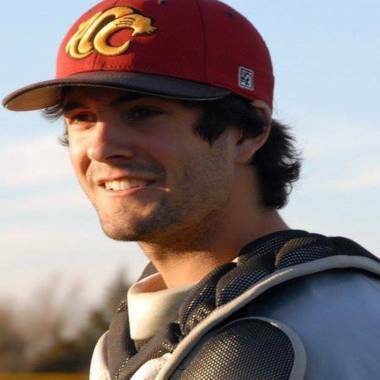 The girlfriend of the Australian baseball player who was senselessly shot dead while jogging in Duncan, Okla., said he was a kind and charismatic 22-year-old who could light up a room and who loved to travel. "He had done more things in his life than I ever thought I could even imagine doing. He's traveled so many places, he's seen so many things," Sarah Harper told NBC News. "He's already so worldly at 22 years old but yet he still had dreams to go and see everything and be everywhere and know everything." The ballplayer, Christopher Lane, was a native of Australia and a catcher for an Oklahoma college baseball team. He was gunned down Friday in an apparently random shooting. Harper, an American who attends Oklahoma Christian University in Edmond, said she remembered everything about the moment when police broke the news of his death to her. "It was the most shocking thing I've ever experienced," she said. "I think my stomach just dropped and my heart just broke right there because I knew there had been a drive-by [shooting]. And then I asked if he was OK and [the policeman] shook his head 'No,' and told me he had been shot and I asked, 'Is he OK?' and he said, 'No, he's passed.'" Harper said it's been difficult to deal with the aftermath while being so far away from Lane's Australian family and facing a 15-hour time difference. "I wish I was there grieving with them now because he loved his family more than anything in the world. Being connected with them brings me closer to him," Harper said. "I'm counting the days until when we can get him home. He'd want to be home." One of three teens charged in the attack told police that they shot Lane because they “were bored” and decided to kill somebody. The teens were charged Tuesday: James Francis Edwards Jr., 15, and Chancey Allen Luna, 16, were charged with first-degree murder. Michael Dewayne Jones, 17, was charged with being an accessory to murder after the fact and with firing a weapon. All were charged as adults, according to the Stephens County District Attorney’s Office. If convicted of first-degree murder, the suspects could face life in prison. Harper said she never wants to see or hear of them again. "I have nothing to say to them. They have no remorse and no compassion and no motive so I have no time," Sarah Harper said. "I have no intention of being around them, being in their presence. They are not worth my effort." A woman who called 911 after the shooting told the dispatcher that Lane fell into a ditch, had blood on his back, turned blue and then stopped breathing. The slaying has dominated news reports in Lane's home country, leading former Australian deputy Prime Minister Tim Fischer to call on Australian tourists to boycott the United States. “It is another example of murder mayhem on Main Street,” Fischer told CNN on Tuesday night. From left, James Francis Edwards Jr., 15, Michael Dewayne Jones, 17, and Chancey Allen Luna, 16, all of Duncan, Okla.
Harper said she was grateful for the outpouring of support following Lane's death. "It's really, it's really almost a little comforting knowing that there are so many good people in times like this," she said. And while she said it pained her that someone she loved was taken away from her for absolutely no reason, she finds comfort knowing Lane was doing something he loved when he passed away. "I'm happy if he was going to go, he was going to go so close where he felt safe, where he felt loved and where he was happy running and doing something he loved to do," Harper said. NBC News' Erin McClam contributed to this report. 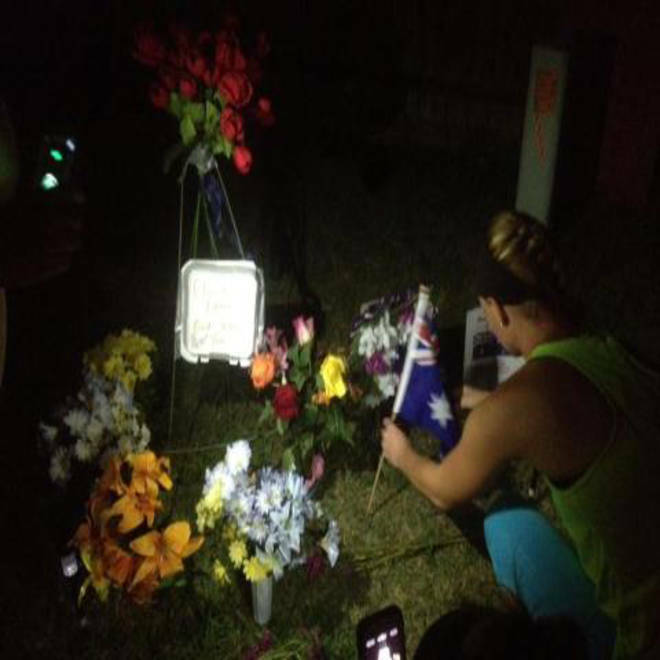 Sarah Harper, Chris Lane's girlfriend, lays flowers at a roadside memorial service.